Teen Titans in South Park. . HD Wallpaper and background images in the Teen Titans - les jeunes titans club tagged: teen titans teen raven robin titans starfire beast boy cyborg. 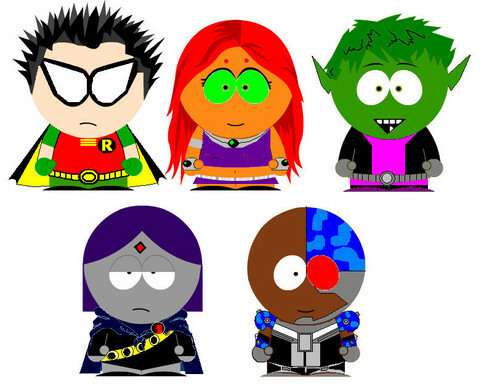 This Teen Titans - les jeunes titans photo contains venn mchoro, mchoro venn ya, and mchoro wa veni. There might also be compact disk, compact disc, cd, and mapatano ya diski.